You will be getting all the essential information in this Jeffery Allen’s Duality program review that is required to make a well thought buying decision. This product is an energy healing based one which claims to improve your life in all ways by clearing the energy blocks that makes it difficult for you to achieve your goals or create various problems in your life. Jeffery has a very strong reason behind all these works; he makes us realize the true nature of reality. Quantum physics tells us that everything is energy; we all are surrounded by countless invisible entities which we know exist, like the air, radio waves, electricity, etc. Similarly, we all have an invisible energy body present around our physical body that is also referred as the aura and now people have also found a way to view it using some type of photography. The concept of energy healing as discussed in many ancient philosophies says that everything we experience in this physical world is due to our energetic state and by combining various spiritual cleansing modalities Jeffery has created this program that will work on your energy system so that you could live a better life. We all know that sometimes when we try too hard to accomplish something or solve a life problem, it just keeps getting worse. That’s because energetically our efforts are working the other way around. Trying to set things right in the physical world without doing any inner work is like trying to fix the mirror for changing one’s appearance. In this course, you will get some top notch methods to do all the inner work that’s imperative when you are trying to fix something in your life. You will learn to align yourself with your energy, find out all the blocks that are needed to be cleared and most importantly, you will learn to clear those blocks on your own. What makes this program special is its maker because Jeffery Allen so popular for his energy healing works that he is called as the “Healers’ Healer”, he got that title because spiritual healers from all around the world come to him for healing sessions. Jeffery’s story is a rare one because unlike thousands of personal development gurus who talk about how they overcame their financial struggle, he has achieved something bigger and that is “inner peace”. He was an engineer and he was very successful financially. At one juncture of his life, Jeffery felt a strong need for something more meaningful and that’s how he began his spiritual journey. He has been coached by some great teachers and holds an experience of more than 20 years of working on people’s energy. With his expertise in spiritual coaching, Jeffery Allen has transformed thousands of lives. 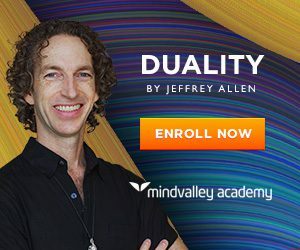 Duality is a program created by Jeffrey that teaches you how to connect with your energy part and know why your life is the way it is right now. The methods incorporated in this course is the best working ones chosen from a lot of different avenues using which you will be able to make the necessary changes to your energy which will generate the results of your desire. From intuition developing methods to chakra healing process, I learned a lot from this product alone and now many other products that I have used earlier seem like a fragment of this one course. This program will also enable you to work on the energies of other people and thus help them with their problems. You will establish a strong rapport with your spiritual side using these methods which will make you a more intuitive person; which means that you will be able to receive clear guidance and answers from your higher self. If you have struggled to manifest what you want using the law of attraction, then this course will open the doors for your desired stuff and all those things will effortlessly begin flowing into your life. See, what you want is not showing up because you are not energetically aligned with that desire and by clearing the beliefs you have about it in your subconscious mind using these methods, you can make it happen. What I consider as the best thing about Jeffery Allen’s energy healing is the profound change it brings to one’s emotional state. These tools will allow you to experience more love and joy, you will be able to put an end to all your inner conflicts and become an emotionally healthy person if you will make proper use of this knowledge. All forms of spiritual healing have emphasized on the connection between people’s spiritual body and physical body, which implies that every health issue results from the imbalance in one’s energy system, so you will be equipped with the knowledge to heal some of the physical and mental problems when you complete this course. Another positive effect that I was able to sense pretty quickly while going through this course is how I affect the behavior of other people, earlier when someone used to create some type of problems in my life, I will prefer to avoid them and believe that their world and mine is different. Thanks to Jeffery Allen, I now understand that I do affect everything in my world which includes people who are related to me as well. So when you will make your energy free of negativity using what you will learn from this course, people will naturally become happy with you and they will love to stay around you. Apart from that, when your energy state gets better, all your relationships also improve. Actually, this program is a recorded version of the original live energy clearing sessions that was conducted by Jeffery Allen. I am sure that live coaching must have been awesome, however, I have found that these recorded sessions are also pretty much effective. It is an eight-week course that will only be fruitful if you will make proper use of it. The exercises and tools you will receive in these eight weeks are something that you can put to use right away; you are really going to enjoy it. What I love about this program is that it teaches you some techniques that you can apply in your everyday life. Course materials for each week are distributed in eight different modules that will help you to learn this whole course step by step. Each module contains meditations, training materials, exercises and action steps. You must complete this program gradually as it is meant to be as if you are enrolled in the live training classes. My two favorite training modules are “mental and intuitive clarity” and the final one “expanding your awareness”, but the other training modules are also equally good because they all contain some very deep spiritual information. As a bonus you will get two additional materials, one is duality Q&A library and the other is Duality daily meditation. The first bonus is a collection of audios where Jeffrey answers some questions that were asked by the members of his live energy healing coaching program, this is enough for anyone who has completed the program because a plethora of questions are answered in it, so there is a great chance that your questions might have already been answered. And the second bonus is a collection of all the meditation and healing sessions that were included in the weekly training so that you don’t have to search it there once you have finished the course. There is also one additional bonus that is a quick introduction to the course which you can use before starting the program to get an initial idea about this whole thing. Note – They can add more or change the bonus materials, you can check their product website to know what’s available right now. The most important thing I learned from this course was that what I thought my “life purpose” is not actually my true path, it is something created based on my past experiences and I have to use energy clearing on it in order to allow my higher self to express itself. That may not seem like a big thing to a lot of people but those who understand their inner world will get a sense of how important this is, I can write about what I manifested here but I don’t want you to expect something based on how it worked for me on the physical level however, I can assure you that you will be able to do the essential spiritual work using these materials that will help you get some great results in all the areas of your life. Apart from that I also healed an allergy using these methods and I am also working on a health issue and it seems to be working pretty well, hopefully, I will succeed in doing that very soon. Like many people, you may also have thought that the 8 weeks is enough to see a dramatic shift in your life, it can happen, I am not denying that possibility, but I want you to understand that knowing about your energy and the inner work that you must do to improve your life is not something that will happen overnight. On thing about this program may become a disadvantage to people with a dominating logical mind, there are some extreme metaphysical things included in this program like meeting your angel meditation, but I will insist on still trying those techniques even when it does not make much sense to you because our inner mind is like a kid and these methods work on a deeper level. Growth has no limits nor does the energy work. You will have to make energy healing a part of your life if you want to keep progressing in all ways. Our energy blocks are an effect of the limiting beliefs formed in our inner mind based on our past experiences, so this is a marathon, not a sprint. 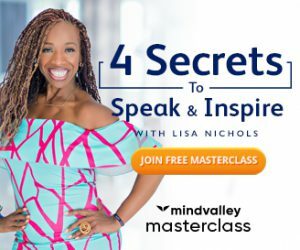 What you are going to learn in this program will stay with you for the rest of your life, but you must make use of what you have learned frequently if you really want to transform your life completely. Yes, people have experienced many amazing things while going through this program, which includes some surprising manifestations. If you are new to energy cleansing, you may get to see some powerful impact of the sessions on you. 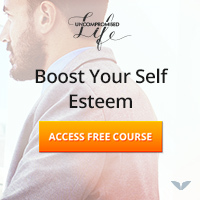 I cannot say how exactly the program will affect your life in those 8 weeks, but I am sure you will be able to create a beautiful life for yourself and others using this knowledge if you are seriously willing to learn this skill. So, I am pretty much in favor of this course and I would highly recommend it to you if you want to help yourself and others using energy clearing. To get more information on this product, you can visit the product website here. I hope you enjoyed this post. You may also like to read about the methods that I use for clearing my energy blocks.